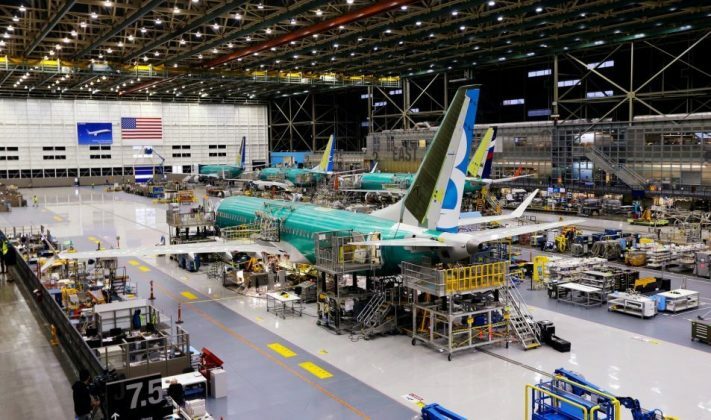 The plane crashes that occurred in Indonesia and Ethiopia within a space of five months have been blamed on the rush manufacturing of the Boeing737 Max 8. Boeing was said to have allegedly reduced the timeframe for the production of the Boeing 737 after American Airlines, an exclusive Boeingcustomer, placed an order. The genesis of the Boeing 737 crashes: American Airlines had called Boeing to inform the jet manufacturer of its intention to order for A320neo, fuel-efficient jets from Boeing‘s rival, Airbus, which is also a leading aircraft maker. And in order not to lose sales to Airbus, Boeingfastened the manufacturing process and upgrade of Boeing 737. Now, many believe the hasty manufacturing process of the Boeing 737 led to the deadly crashes of the Ethiopian Airlines flight 302 which was carrying 149 passengers and eight crew members, and the Indonesian airline, Lion Airflight 610, which had 189 passengers. Knowing that it could lose market share to its arch rival, Airbus, which has been outproducing Boeing for years, Boeing opted to upgrade its Boeing 737, patching the plane with a software meant to compensate for bigger, more fuel-efficient engines and ensure the plane flew the same way as an earlier version. This, therefore, saved the company the stress of having to build from scratch. According to a report by The New York Times, Engineers were pushed to submit technical drawings and designs at roughly double the normal pace – a production that was slated for six years was built months later. This was done to avoid costing the manufacturer billions in lost sales and potentially thousands of jobs. Boeing began production late because the company didn’t see Airbus‘ A320neo as a threat. The chief executive of Boeing’s commercial airplanes division, James F. Albaugh, said Airbus would probably go over budget creating a plane that carriers didn’t really want; but all that changed when American Airlines made an order. Despite meeting up to the timeframe, Boeing had to share the sales with Airbus as American Airlines decided to make deals with both manufacturers. The Boeing 737 Max 8 had since been grounded by several countries including Nigeria. Although, Air Peace still hasn’t ruled out its intention to take delivery of the Boeing 737 Max 8. The Nigerian carrier recently took delivery of another Boeingaircraft.